April Newsletter - Cosechando Felicidad Inc.
As many of you know, for approximately two years now members of the community, and our volunteers have been looking after an elderly man. He never had children, and has outlived all his close relatives. Two years ago he found himself without any place to go after losing his home. A women from the community offered him a room where he could stay for free. It was ideal for him because he did not have to worry about the space being taken away from him. It was also ideal for us, because it is less than a half a block away from the project. For the past two years we have been able to deliver three meals a day to him! In addition, we have been able to have him seen by a doctor, and his medications filled. We visit with him a minimum of three times a day and call each other family. In February he celebrated his ninety-fourth birthday! 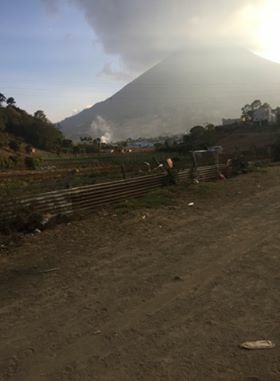 He still walked to the market, took care of his pet cat, and even carried a small bucket of water to his house from the nearby water source for his daily use. We offered him assistance with this activities, but he always assured us he was capable. Due to a series of unfortunate events, he ultimately has lost his independence in the last three weeks. He now requires someone to be with him 24/7 to assist him with eating, bathing, changing, and toileting. Thankfully we have been able to come together as a group to problem solve, and ensure his is receiving the proper care. We have been able to contract, and train a local woman from the community to be with him during the day. In addition to this, we go three plus times a day to help her with any lifting. 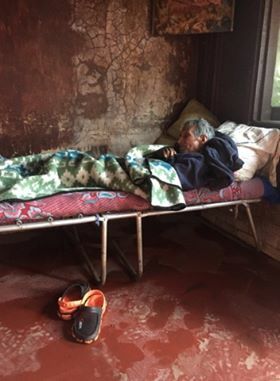 We feel blessed to be able to provide this local woman with much needed work while simultaneously providing our dear abuelo with a companion and caregiver. We have been talking among ourselves, and have realized what a good reminder this situation is for us. We are reminded to practice patience, to value friendship, and to give generously and intentionally of our time. We love him more than he will ever realize. We are humbled and blessed to have the opportunity to share with him his final years here on Earth. 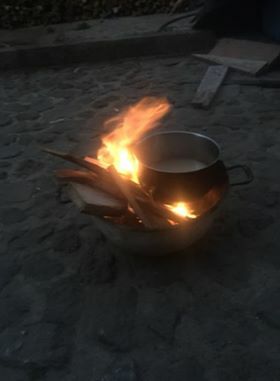 The abuelo likes to make a small fire outside of his room to keep himself warm. In the midst of the chaos and business of daily life here, we are still looking for ways to grow, and help those around us succeed. We are currently taking the first steps to plan and implement a chicken project! One month, the women who receive groceries will receive a smaller bag, but in addition two chickens. These chickens have been raised in a similar climate and will easily adapt to Santa Maria. Our goal is to have the women raise chickens, but also give them the option of selling us the eggs for use in our feeding program. On average we use fifteen dozen eggs a week here! Many of these women also attend our monthly women’s group at our community center where they learn valuable life skills to grow as individuals and assist them in providing for their families. We are hoping to put this plan into action this month, and will keep you all updated with the progress. 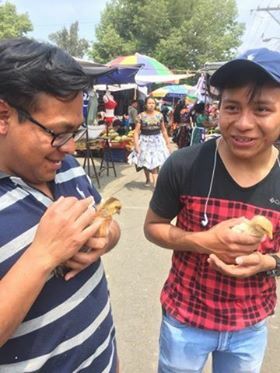 Edwin and Edwin purchasing chickens for our upcoming project. 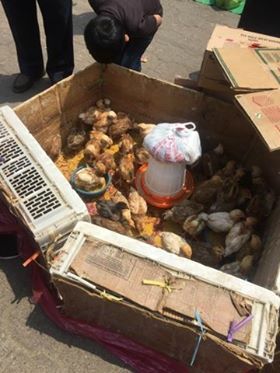 Purchasing chickens from the market in Santa Maria de Jesus. The school students we are helping this year are truly doing well balancing their home life, as well as school. They are committed to their responsibilities here at the project, and faithfully come to serve weekly. Their first report cards will be released in June, and we are eager to see their progress! We are forever grateful for you all, and your continued support with allows all this to happen. Knowing we have a support system around us, covering us in prayer, makes each day seem doable. Thank you from the bottom of our hearts!